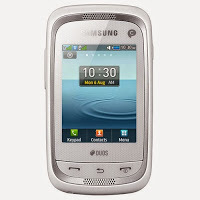 Samsung C-3262 flash file z3x is going to free download from this landing page. The latest mobile flasher for this concern available here and you can update your device firmware with various flashing boxes like HWK. The below provided downloading link is free and safe for all those users which are willing to undergo with their personal Samsung model C3262. It has required a Sim restart solution which is listed below in detail so you can check it. Samsung GT-C3262 Flash file is fully tested. A micro USB cable and RJ45 is needed. Flashing box which one you have. I recommend Hwk box setup for better results. Windows devise a PC desktop or a laptop computer with suitable system requirements. Here we are going to share a working procedure about to flashing of such devices without facing any difficulty. Before starting first off all you have to learn about the key points of the flashing or updating any mobile phone. The entire data which is stored in your smartphone will b lost after this. If you want to save/Secure your important data then you have to get a backup of your complete data before flashing will starts. For this purpose, your data will be saved in your phone memory and some of your data will be placed in SD micro card which is inserted into that device. First transfer/Move your all saved data to the memory card and remove this SD card from the concerned phone and now your data will be safe and always protected. When you need your data after the successful flashing you can simply insert the memory to the mobile phone and enjoy. Download the flash files from the given link at the end of this post. Extract it your windows at any path of your choice. Open Samsung gt-c3262 flash loader-lite folder which is present in it. Now open B-folder EXE to begin. Click to set a model number. Now tap on the main partition. Chose the C3262 from the BIN folder. Now select C3262WN.pt from the option winli2 of CSC folder. Now tarp on it and start the wizard. At the same time just press Volume - and lock key. Hold them for a while and connect USB cable. It automatically finishes the whole process. Your requested download link location for Samsung c3262 flash file and flasher is right here click to start the download now.